The first brand in the industry to offer this type of service to its customers. Pai understands just how frustrating shopping for sensitive skin can be. The brand was founded in 2007 by Sarah Brown, after her skin became hyper-sensitive and acne-prone. After years trawling the market for a solution, she reached a dead-end with a bathroom cabinet full of products she couldn’t use. Most Pai customers have experienced a tough journey ahead of finding the brand. Pai’s 90 day policy means that customers can return any full size product free of charge. Allowing them to take back control of their skin and try the products completely risk-free. 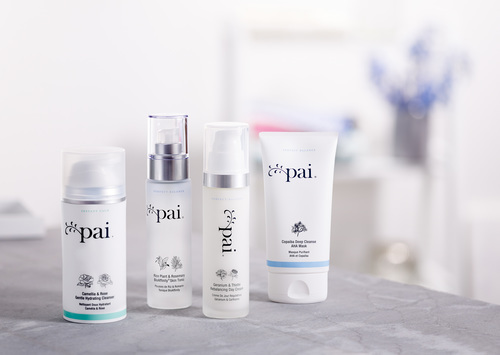 Pai Skincare knows it takes time to fully test a product’s skin compatability. Though it’s often said that the skin renewal process takes 28 days, this can vary. The full process, from skin cell development at the deepest level, to these cells appearing on the surface of the skin can take up to 40 days. Pai’s 90 day returns policy is now live. ** Estimate, based on UK women, aged 16-64. Sarah’s mission is to empower women to take back control of their sensitive skin through products that not only work, but are a joy to use. Pai also provides expert advice and a holistic approach to skincare, with an understanding that products are just a part of the puzzle. Pai products are certified organic by the Soil Association. The company also has Vegan Society, Cruelty Free International and London Living Wage accreditations. 1. Visit paiskincare.com/returns and complete our speedy form. 2. We’ll be in touch with some extra info on how to return your products. 3. Send your products back to us and we’ll issue a full refund. All UK orders include a free returns label for easy posting. Further afield? We’ll cover the postage. This press release was distributed by ResponseSource Press Release Wire on behalf of Pai Skincare in the following categories: Health, Women's Interest & Beauty, Business & Finance, Retail & Fashion, for more information visit https://pressreleasewire.responsesource.com/about.